I'm sure I'm not the only one who is anxiously awaiting the release of Ragnorok's Blackguards Anthology. I know the guys and gals over there are hard at work at it. I've turned in my final version (with some pretty fun tuckerization) and contacted the people who paid to have me look over their stuff. I'm still waiting on Emails for the first day Hollow World entrants, and as soon as those are in I'll be mailing them out. In the meantime, I thought people would like to see some of the artwork for the book. Here's the image for my piece, "Professional Integrity." I don't want to tell you too much about what is going on in the scene depicted...dont' want to have early spoilers and all. But I can say that I think it was a good choice for the story being told. If you would like to see the other images, Ragnorak Publications has posted them online and you can scroll through them here. I love seeing these early "sneak peeks." I'm already speculating on what some of the stories are about, and can't wait to get my own copy. I hope you'll enjoy reading "Professional Integrity" just as much as I enjoyed writing it. I doubt my household is "average." Being a writer, I often discuss topics that most would find out of the ordinary (and some downright frightening). "How long does it take to dissolve a body in hydrochloric acid?" The other night a friend of mine came over for dinner, and my wife and I were debating the realistic population density of a primitive society in a 100 square mile area. We, of course, dragged him into it. Dinner at our house comes with a fair amount of implied nonsense. Today, my wife and I debated a stylistic aspect of writing. I knew I was right, but I didn't have a reference to point to (and yes I realize that I just ended a sentence with a preposition, except I didn't because of this addition). Anyway, I've been reading a book and recommended it to Robin, while reading she asked about the following sentence and whether it was grammatically correct. She licked her lips, reached for her purse, foraged in it. Okay, just a bit more background and then we'll get into asyndeton. Whenever we discuss rules of grammar it usually comes down to one of two things. The item under question is either: (a) correct or (b) allowable under the "authors can bend and break whatever rules they want" get out of jail free card. I prefer (a) because that makes it more likely she'll not edit it on those occasions when I do such things. So, I asked her to find the precedence. For most of the morning, Robin searched and finally came up with what such a construction is called...and you guessed it, it's asyndenton. I suspect this is a little-known rule of grammar, and I'm recording it now so next time we have this "debate" I'll know right where to look for it. "Asyndeton refers to a practice in literature whereby the author purposely leaves out conjunctions in the sentence, while maintaining the grammatical accuracy of the phrase. Asyndeton as a literary tool [that] helps in shortening up the implied meaning of the entire phrase and presenting it in a succinct form. This compact version helps in creating an immediate impact whereby the reader is instantly attuned to what the writer is trying to convey. Use of this literary device helps in creating a strong impact and such sentences have greater recall worth since the idea is presented in a nutshell." If we delve a bit deeper, we find there are three general reasons for using asyndeton (according to grammar and education portion of about.com). "When [asyndeton] is used in a series of words, phrases, or clauses, it suggests the series is somehow incomplete, that there is more the writer could have included." "Asyndeton can also create ironic juxtapositions that invite readers into collaborative relationships with writers: because there are no explicit connections between phrases and clauses, readers must supply them to reconstruct the writer's intent." "Asyndeton can also quicken the pace of prose, especially when it is used between clauses and sentences." So, there you have it. Perhaps you just learned a new word today, as well. If you're coming over this weekend for the Super Bowl party, I'll expect you to be able to recite its meaning or no nachos for you! This post isn't the first time I've raved about One More Page Books, and I'm sure it won't be the last. They're an independent bookstore in Arlington Virginia who really knows how to "do it right." First, they don't just sell books, but delicious chocolate and fine wine too. Three things that go perfectly together. Second, they do events...a lot of events. Not only do they have author signings but they also have story time for the kiddies, eight different book clubs, and even have sponsored author panel discussions for budding authors. I've launched three of my series there, and they were huge successes. 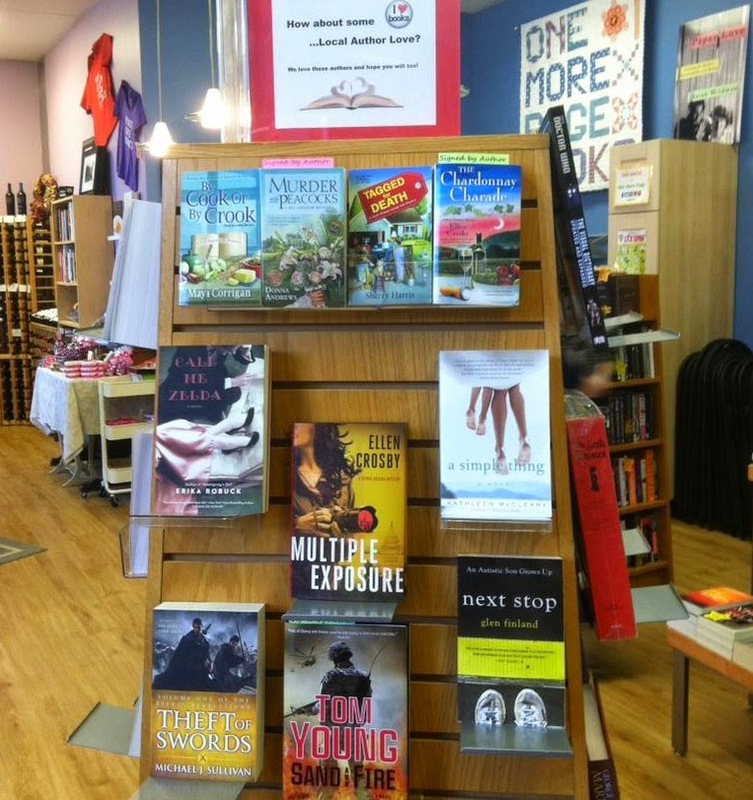 Plus, as you can see by this photo they recently posted on Twitter, they provide special promotion to local authors. What more could you want? While looking through their calendar of events, I noticed their 4th year anniversary is this month. How exciting! At a time when the huge bookstores are struggling, and fears of Amazon taking over the world run rampant, it's good to see one of the "little guys" who do well by doing it right. Oh, and maybe they aren't such little guys, after all. 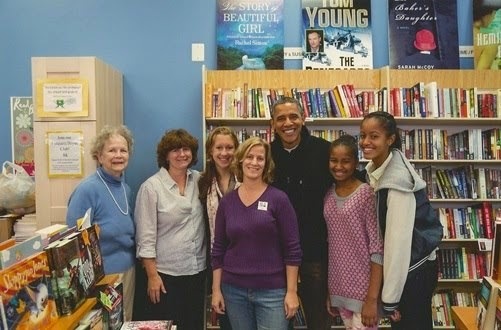 After all, when the President of The United States of America drops by your store (I kid you not). You are definitely doing something right! So congratulations One More Page Books for all you do on behalf of readers and authors alike. If you are in Northern Virginia, stop by and show your support, and if you're not local - find an independent bookstore near you and give them some lovin'. 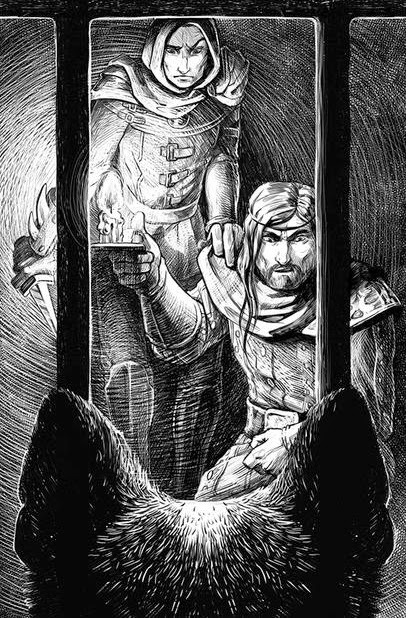 I'm pleased to announce I've signed some contracts to bring the Riyria Chronicle stories to Poland so more Royce and Hadrian for that part of the world. 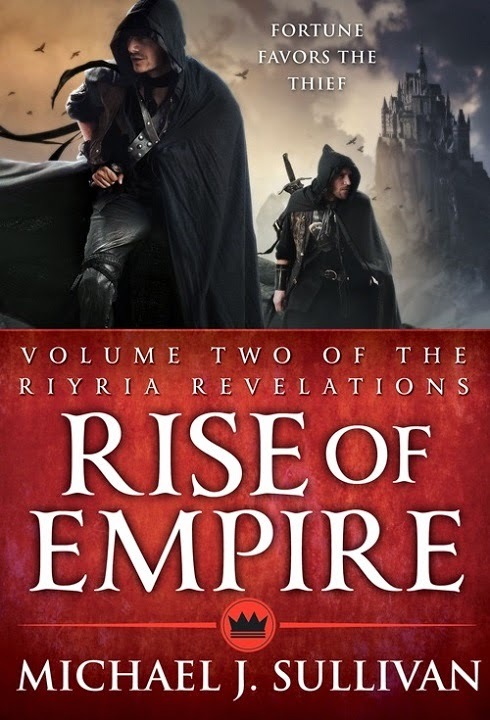 Getting a foreign language publisher interested in more books from an author is directly related to popularity - or in other words, people buying a lot of the previous books - so thanks so much to all the people who purchased copies of The Riyria Revelations in this part of the world. I don't know when the books will be released yet but it's good to know they are coming. Just thought that was interesting. The "double crossed" swords symbol also looked remarkably similar to the icon used for Theft of Swords. 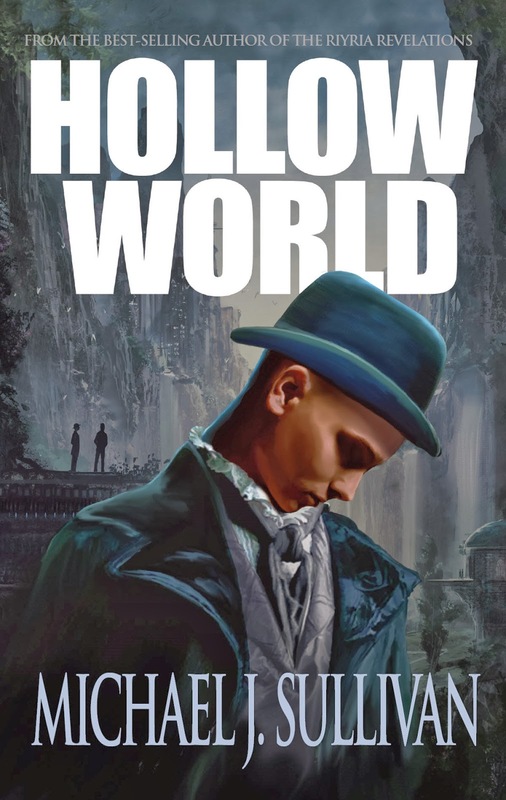 Hollow World makes yet another "Best of" list. This time it's from Brannigan at The Qwillery. Hollow World really is turning out to be "the little book that could" and I'm so pleased that it's loved by critics and readers a like. A few days ago I signed the contracts to translate Hollow World to German. This marks the second foreign language translation for this book, and I'm so thrilled. I don't yet have release dates, but it's good just to know its coming. I've been getting a lot of interest from people in Germany who have loved The Riyria books and have said they wanted to get a native language copy of Hollow World as well - so here yo go. I'm not sure if I announced it here or not, but the other translation that's been signed off on is Portuguese which was purchased by a Brazilian publisher. Again, I'm not sure of release dates, but I'm oh so happy that people in other parts of the world that speak languages other than English will get the opportunity to meet Pax and Ellis and explore a new world in the distant future of our own. I do hope they are enjoyed. A few days ago, I mentioned the article on Goodreads that Writer's Digest asked me to write. One of the things that I discuss in that article is how to make "Button Bars" on your profile, so people can easily get in touch with you. 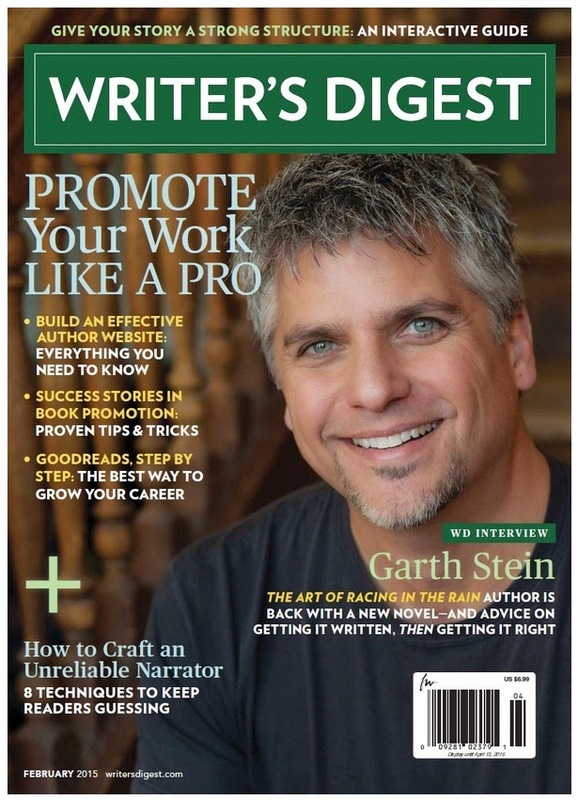 Since Writer's Digest posted this in their free content or the article, I can share it as well. So, here goes. And the last one, which is hard to read at this resolution is to sign up for my newsletter. I think its important to have all your contact highly visible on your profile page, and this does so in a nice graphical way. It's not hard to create these, and you can even re-use the graphics I made, or substitute your own. I wrote up a little tutorial on this, and posted it online - you can get your own copy here. 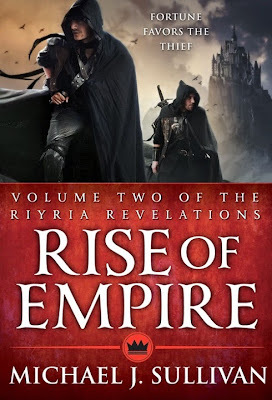 It's been more than two-years since Rise of Empire was released, and I'm thrilled that people are still discovering The Riyria books. Even more so that they are enjoying them. 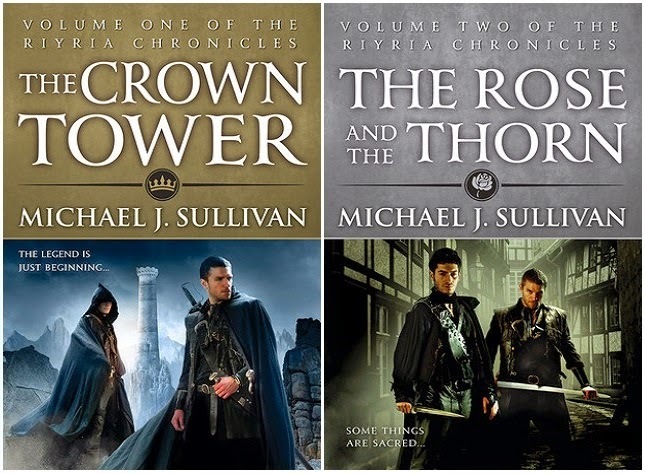 "If you have not read any of the Riyria Revelations then you have missed out on some brilliant story telling by Michael J. Sullivan. 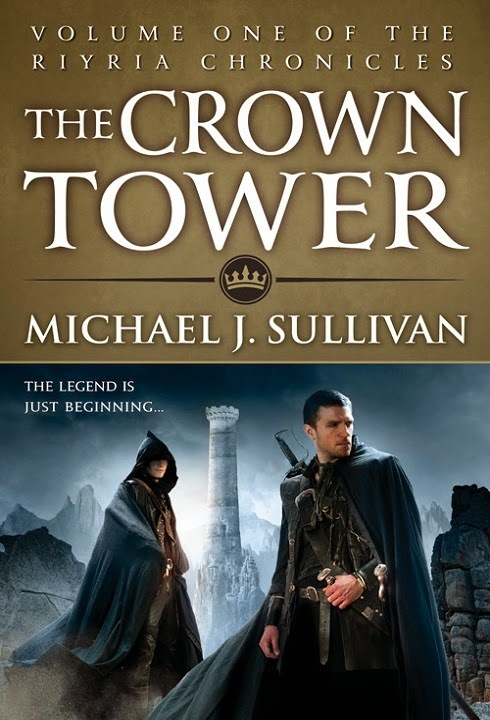 If you are a fan of traditional fantasy or even any kind of fantasy, I think you will enjoy the characters that Michael Sullivan has created. Already with my time with Hadrian and Royce only part way finished, I feel like I’m reading about old friends and they both feel very real to me. 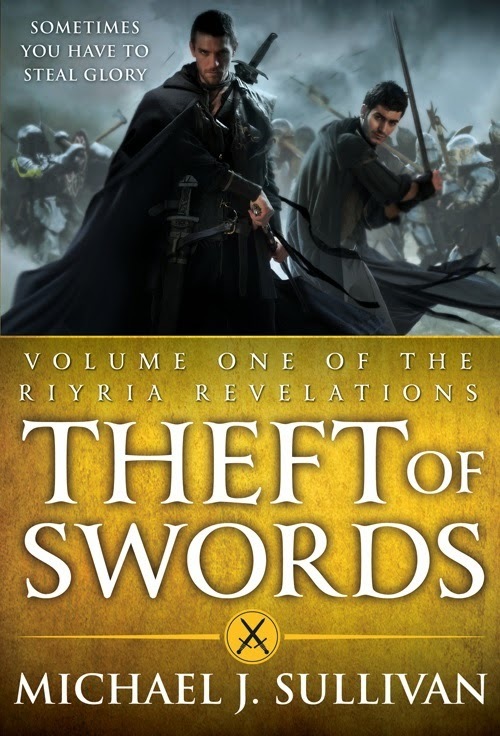 This third book was an amazing build on to the first two novels of Theft of Swords and I look forward continuing my journey with these old friends." I'm so glad Eric feels this way, because it was one of the goals I set out for when writing the book. I like characters who feel like friends, and I'm missing Royce and Hadrian, who I've not written about in a while. But I've also found some new friends in the characters of The First Empire, and I'm hoping to introduce them to you soon. Biggest Surprise of the year went to Pilo Family Circus by Will Elliott. The best standalone novels were Angelmaker by Nich Harkaway and Blackdog by K.V. Johanson. Best audio books went to Ilium & Olympos both by Dan Simmons. Biggest disappointment went to Impulse by Steven Gould, although the poster did enjoy the other two books that came before. I really like this list, and not just because Hollow World made it, although that certainly helps. It has a lot of authors on it that I enjoy and even a few I know I have to get to soon. 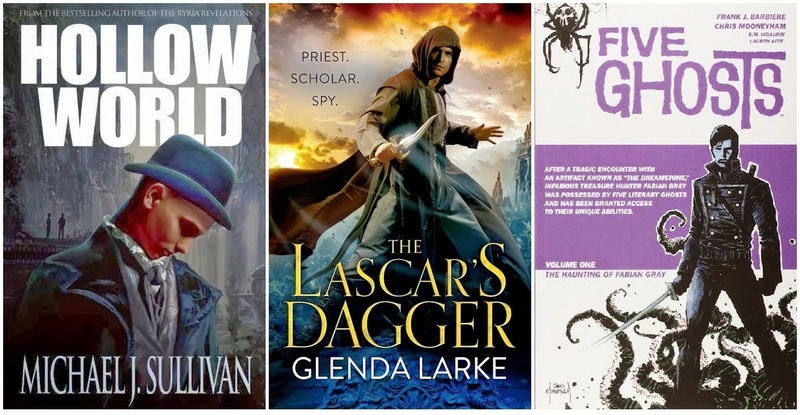 So, check it out and hopefully you'll find some new titles to pick up. 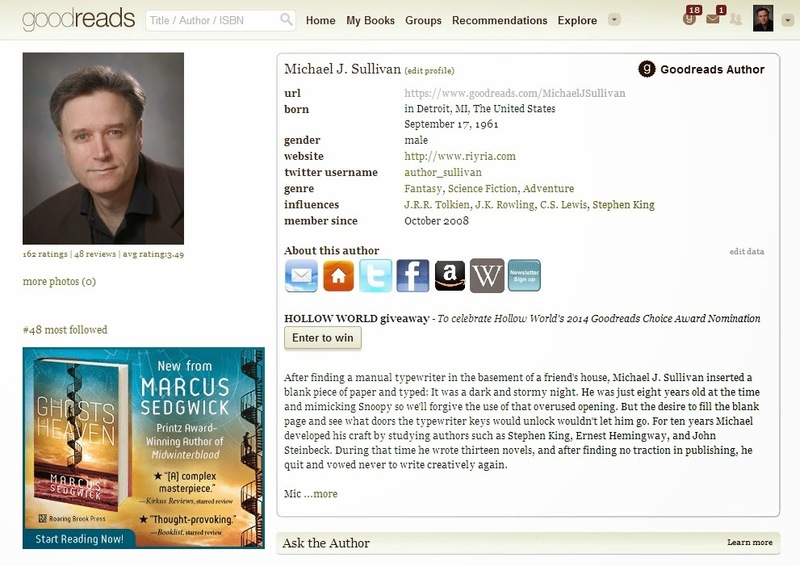 Recently, Writer's Digest asked me to write an article for them on Goodreads. Anyone who knows me, knows how important I think that venue is for writers, and how important it is to "do it well." The article appears in the February edition of Writer's Digest. I'm not sure it's on the news stands yet, but I know it's "out there" (maybe to those who have subscriptions?) because I've been getting a lot of positive feedback from it. Some people have asked me if the article is available for free anywhere. I know that my local library carries this (and many other magazines) so you can certainly go see if yours does as well. I don't think it is available online. I should note that you don't need a subscription as they do sell copies individually. Whether downloaded or in print the magazine is just $6.99 and besides my article there is some great stuff in this edition on website building and book promotion, so I think it's well worth the price. Here are links for both the print and digital version. I hope that you find some of this useful. Happy New Year everyone!! What, wait, it's already more than a week past January 1st? Where does the time go? I have a ton of news and will start rolling them out in the next few days, but for now I wanted to mention to provide an update. I've been pretty busy as of late. First let me discuss Phyre Book #4 of the First Empire. 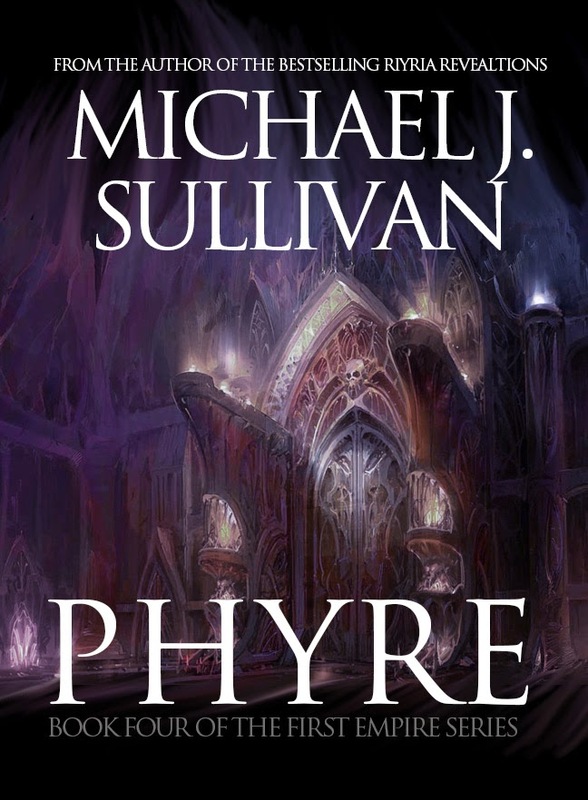 As with all the First Empire books the h is silent, so it is pronounced pyre. You know, the heap of wood that dead bodies are burned on. I won't say anything more about that, I'll let your imaginations go where they may. 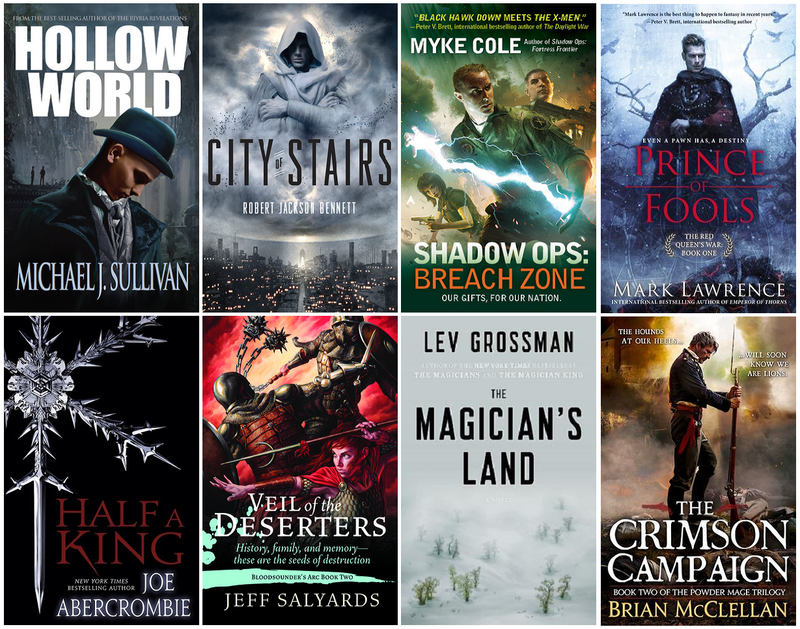 Oh, and as with the other covers of The First Empire, the above is just a mock-up to help me visualize and provide inspiration. It's a "placeholder" and I'm sure the final version will be different. So don't get wedded to it. Generally, I'm one to avoid deadlines, but my wife wanted only one thing for Christmas and I wanted to give it to her. What was it? 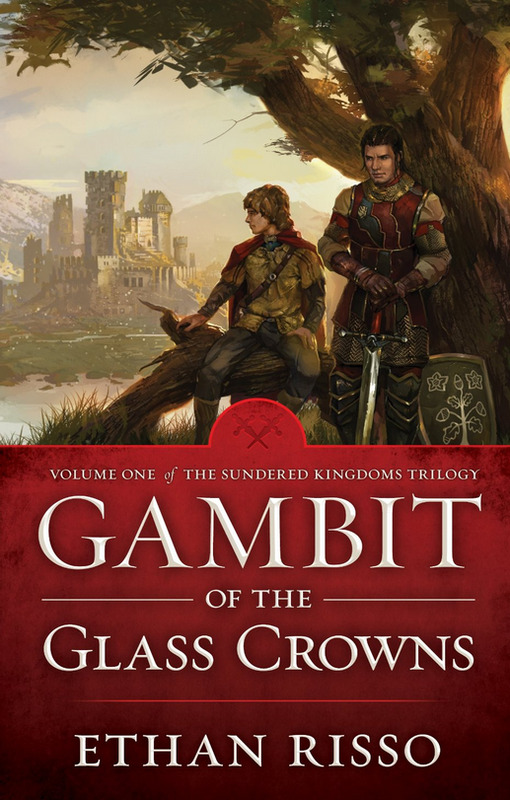 Well, to read the next book in the series. The book was done, but rough, and I wanted to give it one more pass before she saw it. But...there was a little matter of changes to Book #1 because the first beta read had concluded. So through most of early December I worked on incorporating beta feedback into Rhune, Book #1. The beta readers did a great job, making it so I had a lot of work ahead of me. I got that finished up and sent it back over to Robin for copy editing, allowing me to go back to her gift. Even though I was pretty fried from the beta changes, I wrote night and day and finished up on December 24th at around 11:00 pm - just in time. She read it nonstop on Christmas and the day after (thank Maribor she took a break to make us dinner and at least acknowledge the kids were around). Considering how hard I pushed on those two projects, I was looking for a bit of time off and a kind of cool down. After all, I earned it based on how hard I was working. Right? Well, that didn't turn out to be the case. You see, Robin had been over my beta changes and has some changes to the changes. Doh! Also, she and my agent had told the publishers they could get their eyes on book #1 when they got back from the Christmas break. So a new deadline loomed, January 5th. Hitting that date was important for two reasons. One, we had convinced the publishers to wait until the beta changes were incorporated (they had been hoping to get it in early December, and Robin had the second beta primed for that date. We felt like we were cramming for finals, all housekeeping duties were pushed onto the kids, who were on Christmas break from college - Merry Christmas kids. They were sent out to fetch food because Robin didn't have the time to cook. We worked long into the night and I raised several coffee companies stock by all the coffee I was downing. The last three days are pretty much a blur. We were exchanging files back and fourth and working late into the night. Robin gave me her final review of the last chapter around 1:30 am, I got finished with my last pass around 2:30 am. She finally turned over the last chapter to me very late on January 4th and I got done around 2:00 am. Robin woke up at 5:00 am to compile the book and get it sent out. And it's now officially in the hands of others - to see whether they want to release the series or not. We'll keep our finger's crossed. With all that done, I've been spending some time reorganizing my notes for Book #5, and revising the outline. It's massive. Still, I'm hopeful that I'll be done with by April or May. One last item on my "honey do" list, I helped Robin with the layout of the print version of Rhune for the limited edition early, early advance copies. Some may recall a lucky few are getting their hands on the book in basically the "beta read" version. I think we'll be doing another round of these as the second beta starts wrapping up. So stay tuned for that. In the meantime, the book is at the printer, and once we get the proof reviewed, it should be out to the winners within a few weeks. So, today I hope to start digging back into Book #5. It's always exciting when writing the final book. I see light at the end of the tunnel, and it's not even a train...I hope.